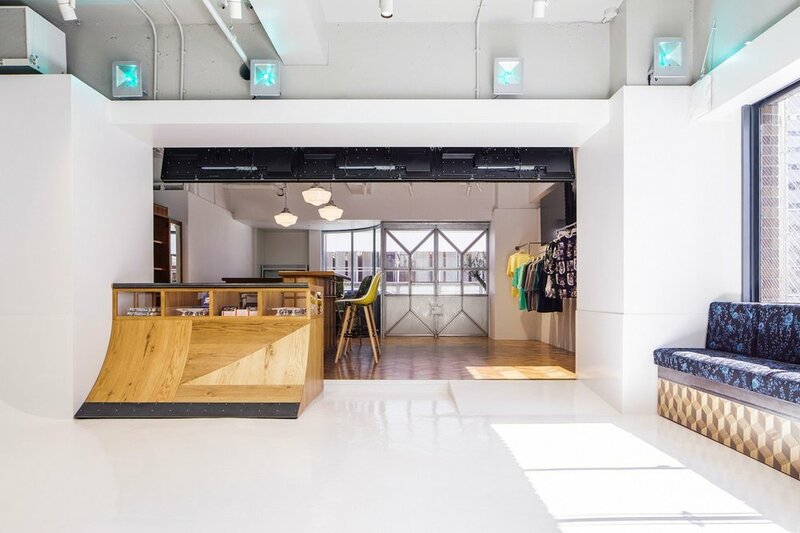 Qucon - Tokyo — Addicted To Retail, Inc.
Tokyo‘s Minato Ward is welcoming a new multi-use space created by skaters. 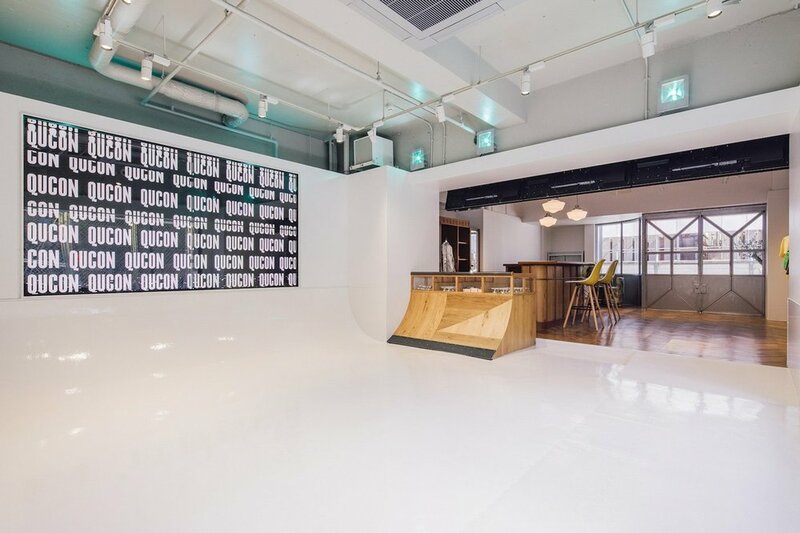 Qucon, a skate park/lounge is set to open at the end of this month in the city’s Shinbashi-Toranomon area, injecting a bit of creativity and skate culture into a neighborhood known as a hub for business. Qucon’s interiors will serve as a lounge and exhibition space. Outside, a concrete skate park takes up 130-square meters. 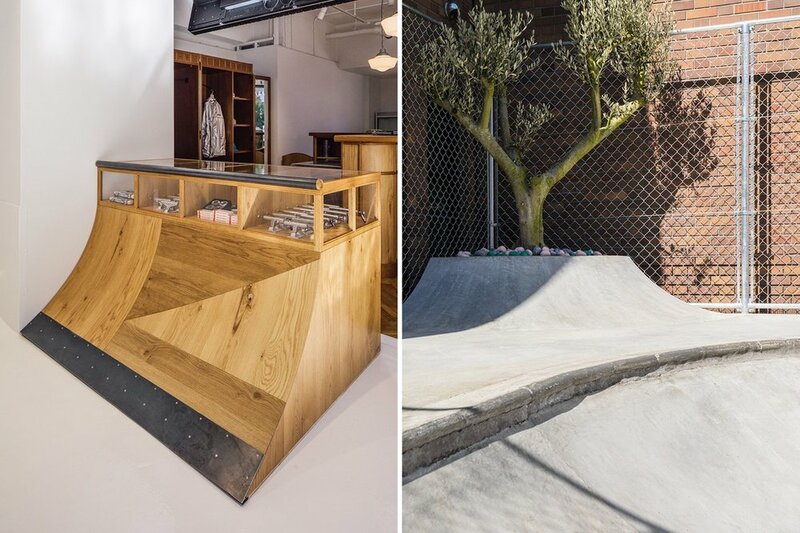 Its interiors are designed to replicate an indoor skate park with curved white walls and raw wood furnishings, accented by skate decks hung on the walls. 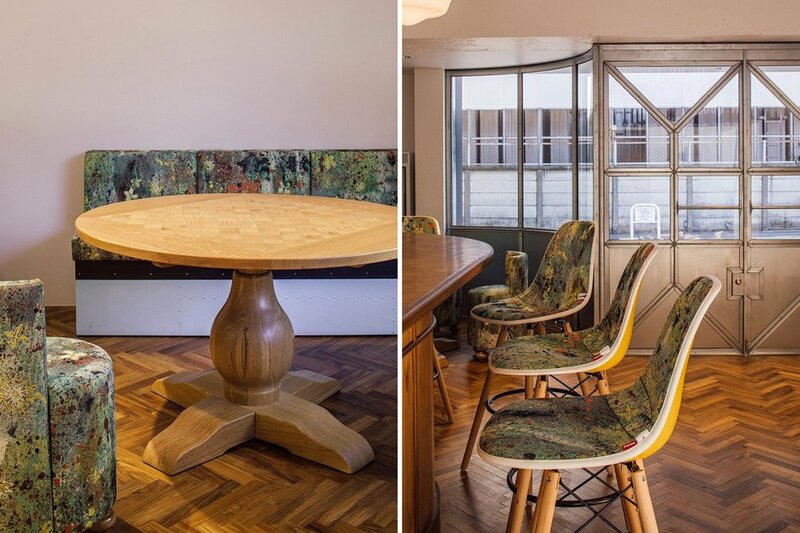 The new creative hub will serve as a venue for art and furniture exhibitions and pop up events.